This hotel was George Clooney’s hotel of choice for his wedding guests in 2014. It’s quite a distance from the crowds of San Marco (yet only a four-minute private launch ride away) on the tip of Giudecca Island. This hotel features gorgeous gardens and an enormous pool, which makes it feel like a true hideaway. Couples can arrange private boat tours to hidden spots for small bites and sips of prosecco. This 72-room, Relais & Châteaux sanctuary is set on 15 Zen-inspired acres of gardens, 300 feet above sea level, with views of three islands. Rooms are huge, with deep soaking tubs made for two, open-air showers, and private lanais. 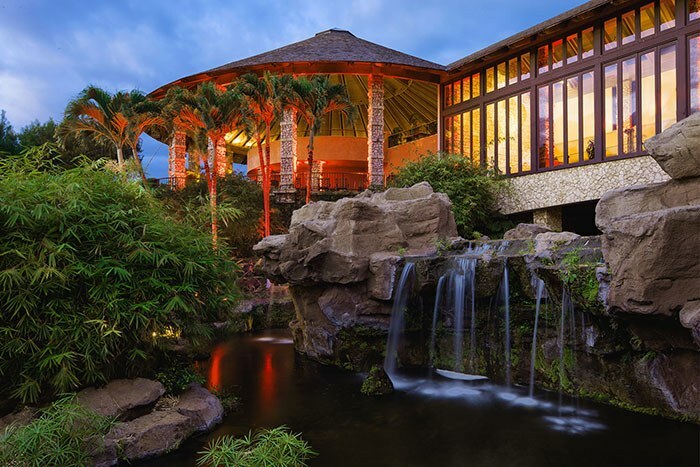 Picnic baskets can be ordered for lunch on Wailea Beach; massages are performed in a streamside gazebo. This hotel has an adults-only policy. A quintessential New England retreat, just three hours from the bustle of Boston, was once home to Nobel Prize-winning author Sinclair Lewis and journalist wife Dorothy Thompson (story goes, Johnson agreed to marry Lewis only if he found her a farm with orchards and “delicious air.”). The 300-acre property has multiple cottages with fireplaces (many with hot tubs). Private, candle-lit dinners in the hotel’s wine cellar and a dip in a Japanese-style soaking pool are both highly recommended. 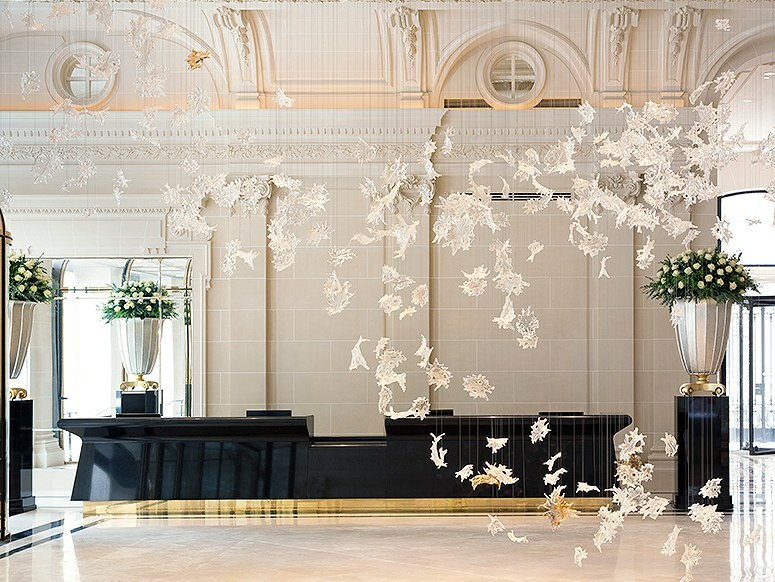 Imagine this: You’re scooped up at the airport in a Rolls-Royce EWB Phantom, chauffeured to the center of town, met by a pillbox-wearing pageboy, and ensconced in an historic suite–complete with fireplace, crystal chandeliers, and views of the Arc de Triomphe. It doesn’t get any more sophisticated or romantic than this, save for cocktails on the rooftop, gazing at the Eiffel Tower in the distance. Each of the 32 suites here have only three walls, allowing for St. Lucia’s famous Pitons to burst into view, while still affording guests complete privacy. No TVs, no phones… just the sound of tree frogs and birds here. Private plunge pools make it near-impossible to ever leave, and the property has on on-staff “romance concierge” to schedule aphrodisiac cocktail-concocting classes and “massage your mate” spa treatments. This mansion-strewn coastal town is just as idyllic in winter as summer. The quiet off-season is the perfect time to book one of 20 uniquely designed rooms filled with silk and velvet, overlooking ocean and beach (some with outdoor hot tubs). Weather permitting, couples can toast s’mores, wrapped in cozy blankets, by a fire pit on the lawn before a butler-drawn bath. 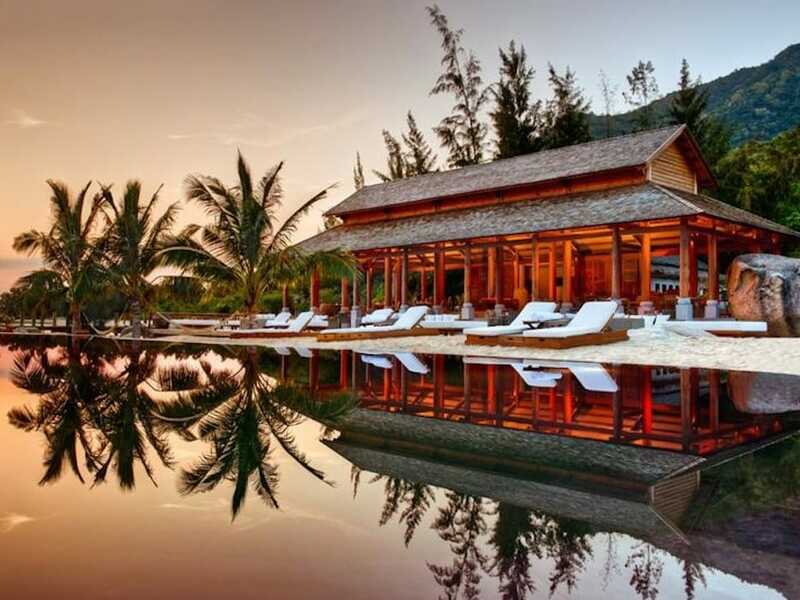 Accessible only by speedboat along the South China Sea, this resort has 35 villas, each with private pool, some with daybeds that swing from the ceiling. Butlers are on-call to unpack suitcases, arrange picnics on the beach, draw a bath, or pop a bottle of champagne. Here’s the place for lovers who love food. The hotel’s Michelin-starred restaurant, helmed by chef Robert Curry, is stellar. Add 52 rooms with wood-burning fireplaces, soaking tubs, terraces, and vineyard views and this is as close to heaven as you’ll get. The spa draws on local grapes and olives for a menu of specialty treatments.